Acer has been making Chromebooks for some time now, so you always expect something good from their Chromebooks. The Acer Chromebook 14 CB3-431 has been around for a couple of years, so can it still compete with the newer Chromebooks available? The Acer Chromebook 14 is a good laptop for anyone looking for a good stable sturdy Chromebook. It will do just fine for anyone wanting a Chromebook for day to day tasks such as internet surfing. The Display is great as it provides full 1080p with IPS. However, it's let down by not having a MicroSD to expand the storage space, which is more important now Android Apps can be installed on Chromebooks. It's also showing its age with the lack of Type-C connectivity. The Acer Chromebook 14 looks the part. It has a solid build and this is thanks to its all aluminium casing. It’s a sturdy Chromebook and it feels like it could take a few knocks on the move without a problem. It comes in two different colours, which are silver or gold. The colour scheme is used throughout the Chromebook apart from the keyboard, which is black. 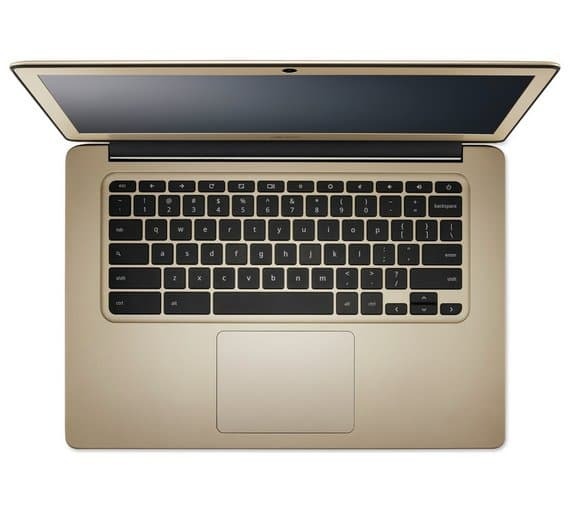 It’s a very slim Chromebook and this makes it ideal to use on the move. The processor that comes with the CB3-431 is the Intel Celeron N3160. This is a quad-core processor capable of 1.6 GHz with a turbo boost capable of 2.24 GHz. It also comes with a 2MB cache to help speed up repetitive tasks that your processor deals with. The Intel Celeron processor is a budget processor and is seen in most of the budget Chromebooks available. It’s perfectly fine dealing with daily tasks such as video streaming or surfing the internet. It will also cope with running Android Apps and you should not see many problems. However, you should not expect the CB3-431 to cope with multitasking too well because the processor just isn’t made for that. If you’re considering buying a Chromebook to take advantage of Linux Apps then this may not be the right Chromebook for you. 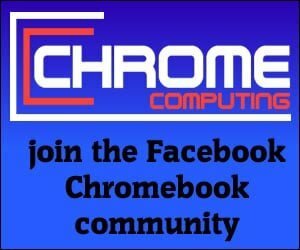 Linux Apps have not yet fully launched for the Chromebook. When they do launch they will require a Chromebook with a faster processor than the one available here. That being said, the CB3-431 will be fine for most tasks, but you may see it slow down on occasion depending on what you’re working on. Internet surfing or typing an essay and you’ll have no problem. 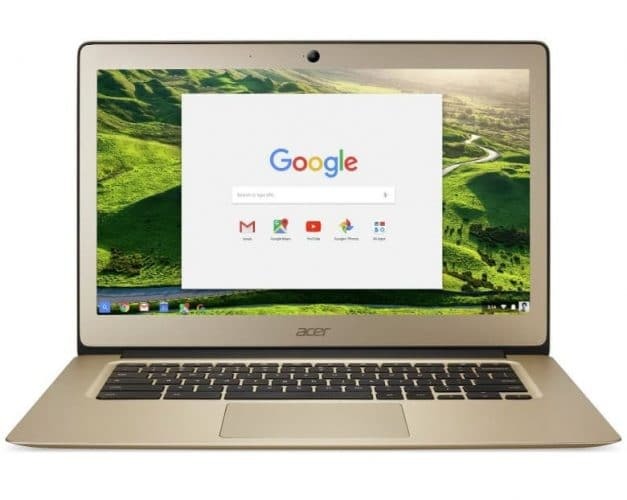 Number crunching on a huge spreadsheet while surfing the internet at the same time and you’ll notice the limitations of the Acer Chromebook 14 CB3-431. The CB3-431 comes with two different memory options. You can buy a 2GB version and a 4GB version. Although you can easily use a Chromebook with 2GB you should try to opt for the 4GB version if you can afford it. The 2GB version will be fine if you’re only intending to use the laptop to surf the internet or do some word processing. However, if you’re intending on using Android Apps you may notice a problem if you opt for the 2GB version. Another issue with only having 2GB is that the CB3-431 is capable of 1080p High Definition streaming. This is a good thing, but you’ll definitely notice a problem trying to stream 1080p with 2GB of RAM. When buying a Chromebook or any other computer for that matter. You should always buy for the future and not the present. So if you can afford the extra price you will be doing yourself a favour in the long run if you get the 4GB version on offer. The CB3-431 comes with 32GB of storage, which will be enough for most users. Chromebooks have designed to save your work in the cloud on services such as Google Drive. This means you should not need to use much storage for your work files. You can find out more about this by reading what is Google Drive and why it’s perfect for the Chromebook. However, now that Chromebooks are capable of running Android Apps you should take note of the storage when choosing a new Chromebook. Android Apps need to use your storage space, so if you’re looking to install a lot of Android Apps it’s important you buy a Chromebook with sufficient storage space. Luckily, the 32GB of storage should be fine for most users and you will easily be able to install a lot of Android Apps without any problem. However, if you think you might be installing a huge amount of Android Apps and you don’t want the hassle of uninstalling Apps when you run out of space. You may eventually run out of storage space even with the 32GB of space on offer here. Usually, this would not be a problem because a lot of Chromebooks come with a MicroSD slot. This allows you to add extra storage to your Chromebook. However, the Acer Chromebook 14 lacks a MicroSD slot and you should take this into consideration, as it means you’ll have to look at other alternatives should you need to add further storage later on. The CB3-431 comes with a 14-inch display and full HD capability, which is thanks to the resolution provided of 1920 x 1,080. When it comes to a Chromebook with a display of 14-inches or more you should always be looking to ensure it provides 1,080p. The display on the Acer CB3-431 is impressive and this is thanks to the Full HD resolution provided. It’s also helped by the IPS technology that comes with the display and the anti-glare is also good to see. IPS is great to see because it means you get a much more solid visual. It’s also great if you need to use your Chromebook at an angle. A display without IPS is really noticeable when looking at the screen from the side. A display with IPS means the visual and colours are just as good whether you’re directly in front of the screen or not. Your friends and colleagues will thank you for this if you decide to work together side by side. All Chromebooks have a great battery life and the Acer Chromebook 14 does not disappoint. The Acer Chromebook 14 is capable of 12 hours from a single charge. It’s unlikely you would get a full 12 hours if you’re working your Chromebook hard throughout the day. However, you should be able to use the Chromebook for a good 10 hours on a single charge. The connectivity on offer from the Acer 14 is not going to win any awards. You get two USB 3.0 ports and an HDMI port. That’s about it. This is a little disappointing when you look what other Chromebooks offer today. I find it hard to understand why Acer did not include a MicroSD slot, so you can expand your storage in the future. Also, the Acer Chromebook 14 is showing its age a little and this is because it does not have any Type-C USB ports. Type-C is the new standard that you should be looking for when buying a new Chromebook. It’s not a deal breaker that it isn’t available here, but if you’re looking to buy a new Chromebook having Type – C connectivity is a big plus. The lack of it here may put some people off. The Acer Chromebook 14 CB3-431 is still a good Chromebook. This is mainly thanks to the fantastic display on offer. You’ll definitely notice the difference using an IPS display and you’ll not want to go back to a Chromebook that does not feature IPS once you’ve used one. It’s a good choice for anyone looking for a Chromebook for day to day tasks. Also, despite its age, it’s capable of running Android Apps, which is great to see. The Acer Chromebook 14 is let down by the lack of a MicroSD slot, which means if you run out of storage in the future your options will be limited. This would not have been a problem before Android Apps were introduced to the Chromebook. However, the 32GB storage available, although not a real issue. It may be a problem for some users who love to install a lot of Android Apps all at once. 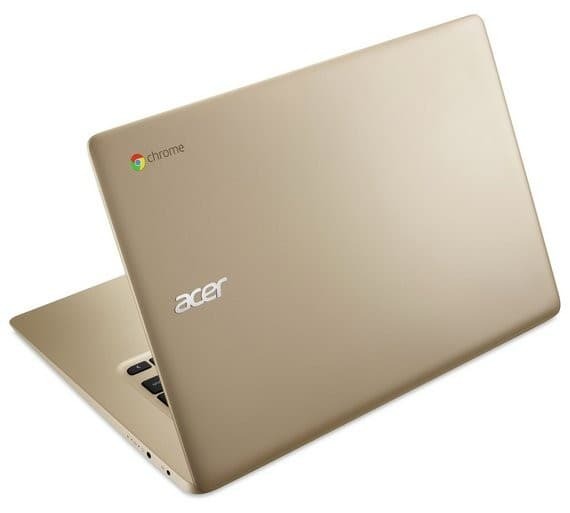 The Acer Chromebook 14 also shows its age a little with the lack of Type – C connectivity. Type-C provides much faster data transfer speeds and can also be used to charge a Chromebook. 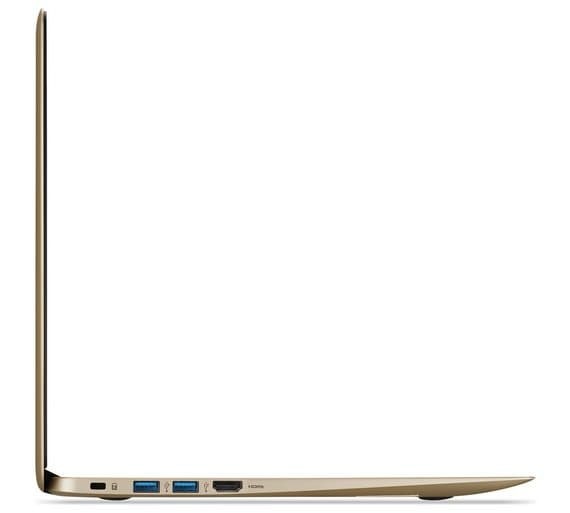 The Chromebook 14 only offers USB 3.0, which is inferior to Chromebooks that have been launched recently. It does, however, have a great build quality and the battery life is impressive. So it may be right for you if you want a Chromebook to use on the move without having to worry about the occasional knock along the way. I have this model in silver for about 2 years. The screen, the colors, are indeed great, although for the best effect you have to set the brightness to maximum. I had to have the device repaired once because of 2 flaws, volume that did not work anymore and certain keys from the keyboard suddenly did not work anymore. I use my laptop intensively and a lot, but not for things that require a lot of memory and a powerful processor. Still, I have to contradict the 10 hours mentioned when it comes to battery life. Even a lot less, between 6 to 8 hours is really the maximum. The construction of the laptop is great, he looks much more expensive than he is. But for this price it is and remains an ideal buy for anyone who normally uses the internet and apps. Maybe the author could have mentioned what a good alternative is if you want that little bit more for the future?